Our beginnings reach back to 1990. We realized that in the air of our living spaces there is a chronic imbalance between negative and positive ions. There is a shortage of negative ions, which are important for our health. So our second company IONEX, specialized in air ionization, was established in 2002. Since the early beginnings, we have been intensively researching air ionization, its effects on human health and developed many products in this field which have brought many encouraging results and a great feedback from satisfied customers and patients. 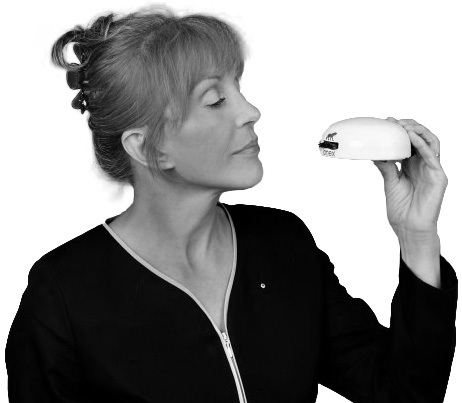 Primarily, Lorena Leonardos, our innovator and founder of IONEX company, wanted to eliminate cigarette smoke and odours from the air. She discovered that negative ions also have beneficial effects on concentration, breathing and allergies, so she embarked on a lot of research and found out many scientific studies have been made in this field and that negative ions are proven to ease allergy and asthma symptoms. She was sure there was a way to even improve these results and she was right. The technology of air ionizers of that time enabled only short-time inhalation of negative ions because air ionizers produced harmful ozone as a by-product. She invented and patented specially designed carbon brush, which emits the largest amount of the negative ion without the presence of hazardous ozone. Consequently, the negative ion therapy could be performed for unlimited time, thus enabling faster, and most important, permanent results. So IONEX was the first company to proudly present fantastic results, such as complete elimination of allergic and asthmatic symptoms in numerous patients. All the discoveries and feedback from cured patients and their doctors were published in book Negative ions as a method of healing – Evidence by Scientific institutes Worldwide in 2016. We have developed many different models for usage in various environments and a special model for integration in air conditioning systems, air ventilation systems, cars, vacuum cleaners, kitchens, bathrooms, … Being very flexible and agile, we can adapt to customers’ needs almost instantly. We are able and interested to partner with other industries, like automotive and HVAC. We have obtained all needed certificates and stamps of approval from Slovenian Institute of Quality and Metrology SIQ (CE, IEC, CB, EMC, LVD, ROHS), German (TUV, GS) and Institution of the Republic Slovenia for safety in a workplace. The measurements of negative ion emission, made at Jožef Stefan Institute prove, IONEX air ionizers are the strongest in the market regarding the negative ion count. We have developed IONIZING CHAMBER for allergy and asthma patients. Negative ion therapy drastically reduces the level of histamine, which is increased in these diseases. The fantastic results can be achieved without any unwanted side effects. This IONIZING CHAMBER is also used for sportsmen therapies to regenerate the muscles faster, improving immune system and vitality for achieving better results. SAUNA model has been developed for usage in hot and humid environments, like spas, saunas, wellness and rehabilitation centres. AUDIO model is adapted for recording studios and concert venues. With the co-operation of medical institutes we have developed ionization for oxygen masks, which are used in the postoperative rehabilitation of cardiac patients on stationary bikes. Brand new ionizing element for integration has been recently developed for air conditioning and automotive industry, which can be attached to ventilation flaps in order to enrich the air with the negative ions. It can be used, for example, in clean rooms, laboratories, work halls, warehouses. The IONEXAir project is primarily aimed at the climate (HVAC) and automotive industry. The IONEXAir project was recently supported by the European Union as it received funding from the Horizon 2020 for Research and Innovation [SMEInstrument Phase 1] [Euratom Research and Training Program 2014-2018] with contract no. 809132. Our high quality products are compliant with all the major standards and certifications. Lorena Leonardos has been nominated for Entrepreneur of the year 2005 and achieved Silver regional Award for Innovation in 2014.